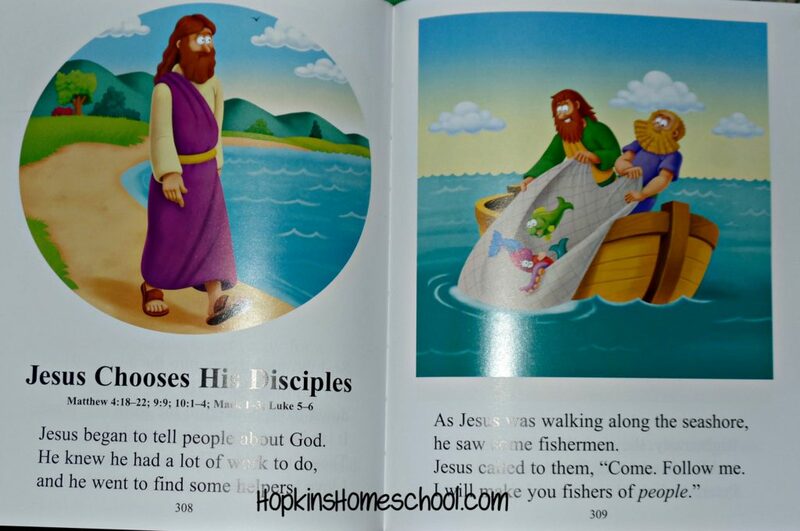 Even the littlest in the house need to have their own bible. To have your own bible is your own passage to the stories and adventures in the bible. So, what do you do for a first bible? 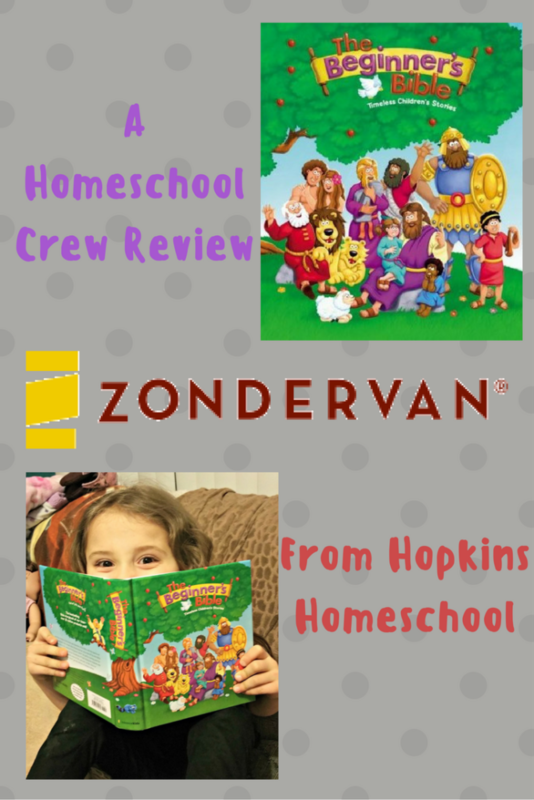 We love having The Beginner's Bible from Zonderkidz available at our house. The Beginner's Bible is a hardcover, colorful book with over 500 pages. Each of the pages includes color pictures and the pages are a heavy paper, perfect for little hands. While this is not a bible in the same sense as mom or dad's bible, this is filled with numerous and timeless bible stories. Each of these stories is at the perfect length for young, busy minds. The words are written for a young mind, yet are filled with all the details needed to tell the story. 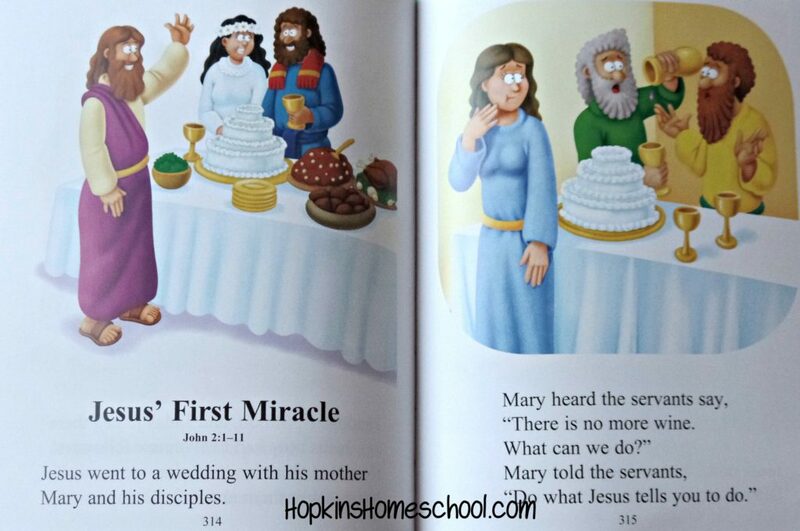 Under each title, you are given the bible reference for the story. This year for Christmas, we wanted to make sure everyone in the house had their own bible. While this is recommended for ages 4-8, we opted to give this to Baby Girl instead of Little Miss. Baby Girl loves to sit and listen to stories, so this seemed a great choice for her. Little did we know, but everyone in the house loved reading this to Baby Girl! Little Miss even sits and tells the story based off of the pictures. And the pictures allow for this to happen! With the new year upon us, we wanted to make sure that bible was the part of everyone's day. We want to make sure that 2017 is a year where we build our foundation even stronger. Having this bible for Baby Girl was a great start to keeping this goal! There was no real plan for how to use this bible, we just sat down to read it. That is how it should be. Every day we would read at least one story out-loud. We have found favorite stories, in fact each one of the older kids has a favorite they pick out to read. This gives Baby Girl her chance to get in her daily bible time as well! We loved this bible. Everyone loved this bible. The length of the stories is perfect, the pictures tell the story themselves and are full of color. Every story that is of major importance is here. This is the best beginner's bible and is rightfully named so. While I know this bible will not be the forever bible, I am glad to have the bible that is perfect for this stage in life! The Beginner's Bible is what we needed in our house for Baby Girl, and Little Miss. This bible helps bring the stories alive for them, and is a great introduction to the bible stories they should grow up learning and loving! If you want to hear more about The Beginner's Bible, hop on over and check out these other reviews!